This hardshell Vintage Tenor Silver Creek Ukulele case is vintage in every detail. 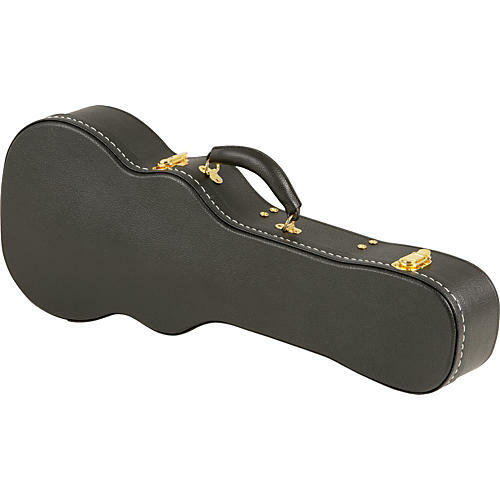 With a heavy-duty arched top and crushed velvet interior, this tenor uke case also has a black Tolex covering, 20 mm of high-density padding, and an accessory compartment. Silver Creek added a leather handle for carrying, 2 latches, and a locking mechanism. Modeled after classic pre-war style cases, the vintage Silver Creek Ukulele Case protects your tenor uke with its tough design and dense interior. Height of neck rest: 2.67"
Width of the head: Upper width 5", lower width 3-1/2"